Christmas is getting closer. I'm feeling the time crunch....are you? Tonight I decided we would take a break, do gingerbread houses and go drive through the Raceway that is decorated with lights. :) Going to take Sara and her friend along too and my hubby of course. a Paper Piercer and a set of the snowflakes. I've seen great things with the snowflakes that are not Christmas related at all, they are quite versatile. And the paper piercer is great for many things especially helping with small pieces like embellishments. My favorites are "Elf" and "The Family Man" along with some classics "It's A Wonderful Life" and "Miracle on 34th Street"
The new catalog ordering starts January 3rd. Make sure you are getting my newsletter and goodies. Request below. 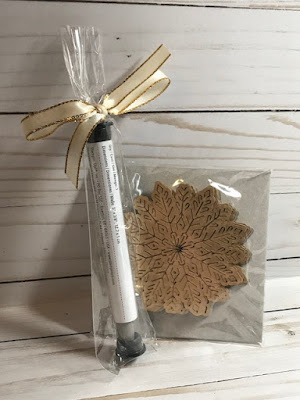 Giveaways and Newsletters are for customers and not intended for other Stampin' Up! demonstrators. I hope that you understand. Don't forget to come back each day for the next 12 days until Christmas to see if you've won anything and to see what is coming up next. The winner of Pizza boxes from the 8th Day of Christmas is...Elaine Goh!!!! I will be sending out all of the items the day after Christmas once all names have been drawn :) Congratulations Elaine!!! There are just 3 days left(but 4 giveaways)....will you be winning??? My favorite Christmas movie, besides the 2 classics you mentioned, is "Christmas with the Kranks". I can see that movie anytime of the year. Thanks for all your giveaways. Enjoy tonight, sounds like fun. 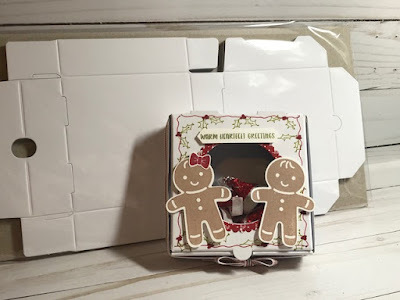 Love this giveaway....I don't have either one but I'm smitten with the snowflakes! My favorite Christmas movie is National Lampoon's Christmas Vacation. I'm not sure if I have a favorite Christmas movie but I love watching all the Christmas movies on Hallmark when I doing things to get ready for Christmas! It's a Wonderful Life. A Christmas Story.